India may well be declared the ‘osteoarthritis’ capital of the world considering it will reach the whopping 60 million cases by 2025. 15 million adults are affected by osteoarthritis every year, and some medical experts have established this disturbing conclusion of reaching the 60 million figure. While it continues to affect the lives of elderly, the experts have also reported more cases in the age group of 30-50 yrs old, thus affecting their lifestyle early. Doctors say osteoarthritis is the most prevalent form of arthiritis in India, affecting over 15 million adults every year. “In the last few decades, Indians in the age-group of 30 to 50 years are falling prey to osteoarthritis and it continues to have serious impact on the lives of elderly people,” said Mudit Khanna, consultant Orthopedics at Wockhardt Hospital. He said though the South Asian nations also have a high number of osteoarthritis cases, they are only the a fourth of the cases in India. “Such diseases lead to complete disability of the knee. If the pain is not relieved by medication or physiotherapy for long, a person may be bedridden in the long run. So, surgery is advisable,” he said. 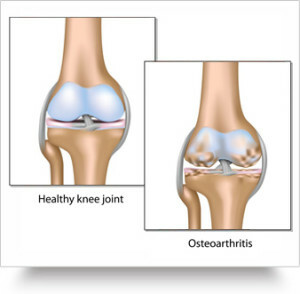 Osteoarthritis occurs when there is damage in and around the joints that the body cannot fully repair. The exact causes are not known but there are several factors thought to increase the risk of developing the condition. According to doctors, though the current solution for osteoarthritis is surgery — transplant — only 10 percent of the Indians undergo it due to fear of late recovery. The reason behind the onset of this endemic is said to be increasing longevity of Indians. By 2020, the number of 65 and above population in India is likely to be about 177 million, whereas India had 100 million people in this age group in 2010.